Be Part of the 2017 Yukon Quest 1000 Mile International Sled Dog Race. … at the start: dozens of wildly excited huskies, dedicated mushers, trusty handlers and hundreds of passionate fans to cheer them on. 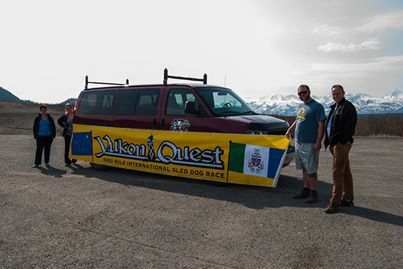 … because the 2017 Yukon Quest 1000 Mile International Sled Dog Race is on … therefore we follow the teams meeting up with them at their checkpoints to see their progress. … also you get to Dawson City over 500 km to the North, frozen solemnly in its wintry white snow cover. Blue skies during the day and Northern Lights at night. 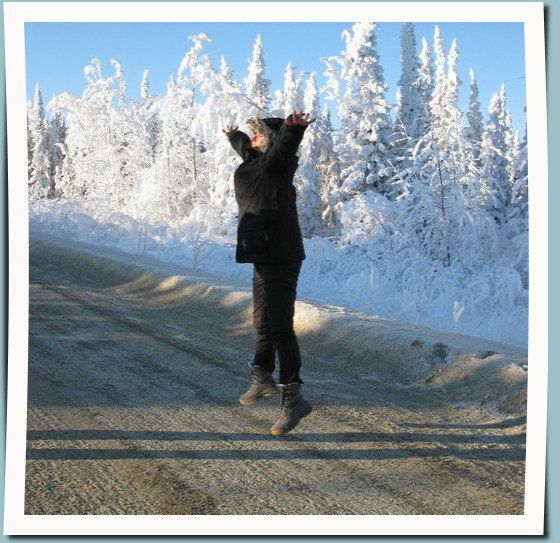 … You travel in a comfortable van, will be staying in Dawson City for 3 nights, spending the days at the official check point place, where you can talk to the mushers, be close to the dogs, see the vets at work, admire the handlers’ care for their dogs and be right in the middle of this epic winter event. 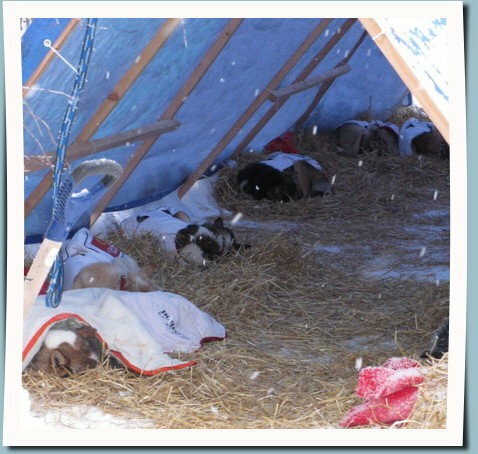 You get to greet mushers coming in from the trail before they bed the huskies down to their well deserved 24hour rest. Then you cheer departing teams when they get ready for the next leg of their wild adventure towards the finish line in Whitehorse. In the afternoons we have the option to explore the area around the “City of Gold”, such as the Midnight Dome, the famous gold fields or the place of Dredge No. 4. 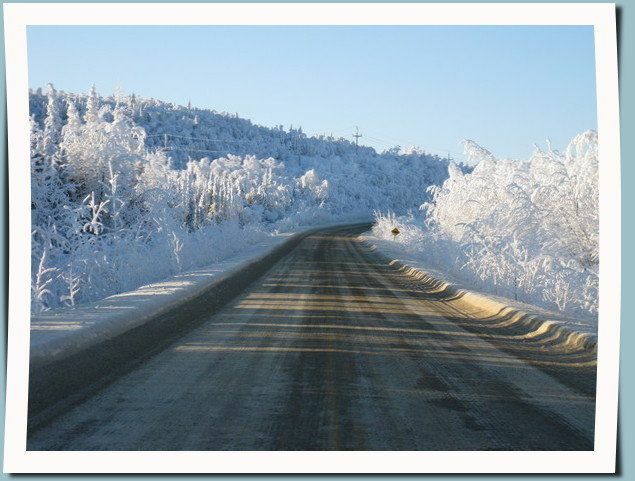 (pending road conditions), On day 9 we will start back down the winter wonderland road towards Whitehorse, driving through the heart of the Yukon again, keeping our amazing memories close to our heart. 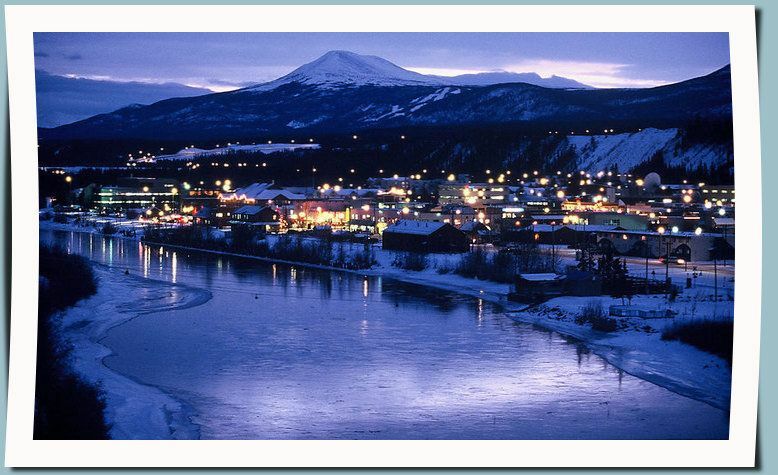 Whitehorse awaits us with its wilderness city charm. Now you get to step on the sled yourself and drive your own team of enthusiastic huskies through a fairy landscape. 2. 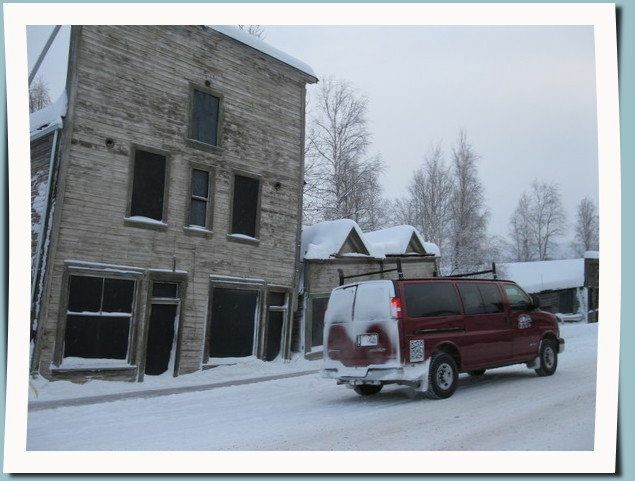 February 2017 Arrival day in the Yukon and first night in your Whitehorse hotel. 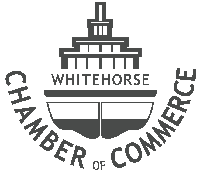 Whenever you arrive at Whitehorse International Airport we will pick you up and bring you to your downtown hotel, where you will experience your first comfortable and cozy night in the wild North. Today we can show you the charm of our Wilderness City and much more. Our City Tour will get you around this true wilderness city, our capital, with log sky scrapers and a log church, a beached historical paddle wheeler. You learn about our legendary Gold Rush History and our First Nations’ Heritage at their amazing Cultural Centre on the banks of the mighty Yukon River. 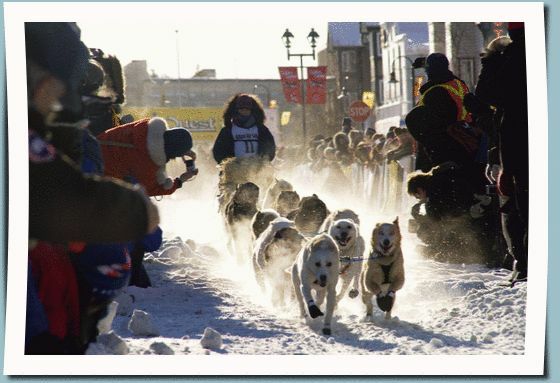 In the evening we will attend the famous Yukon Quest Banquet, where all musher will be present, where a great Silent Auction and a fantastic Yukon Dinner is held along with the exciting Draw of Start Numbers for all musher teams. Entrance fee and dinner included in tour price..
3. February 2017 This morning is reserved to your own time and rhythm. Sleep in or explore our quaint little Capital of the North with numerous restaurants and coffee shops, art galleries and souvenir stores or experience the wonderful promenade along the frozen Yukon River. In the afternoon we drive to the famous Yukon Wildlife Preserve and visit amazing 700acres of northern mammals in their natural habitats. Learn about the mammals of the North and see them in their natural environment. An educational tour where you can get very close to moose, musk oxen, mountain goats, Dall and Stone sheep, woodland caribou, elk, wood bison, mule deer, lynx and Arctic fox. Along with expert interpretation of the game preserve, its research and rehabilitation facilities, incredible photo opportunities will present themselves to you. On this 1.5 hour long guided tour you will have ample time to see, learn about and picture or film wild animals. 4. February 2017 Today we will see cheer the mushers and their huskies teams on to their wild 1000 mile race through Canada’s True North. We finally become part of this epic event. Having found a strategic place close to the start line we experience the rush of team after team tearing out of the starting chute. Later we drive down the trail to a several viewing points seeing the mushers come by, our last road accessible location for today is the Takhini River, after which we take a break with a relaxing soak in the Takhini Hot Springs. Around 5pm we return to our Hotel for dinner and a short nap before we have the chance to drive an hour to Braeburn Lodge, experience the world’s largest and tastiest cinnamon buns while watching the first mushers to come in. They can opt to have their first 4 hour mandatory lay-over here and we can observe how they bed down and look after their teams.Braeburn Checkpoint also is an official dog drop location, where we see vets and officials at work as well.We return to Whitehorse for our last hotel night in Whitehorse. 5. February 2017 We meet at the hotel lobby and drive North. On our way we once again update who has come into or left the Braeburn Checkpoint. When we arrive in Carmacks, placed on both sides of the wide Yukon River, our hotel is close to the checkpoint. So we can spend as much time as we want either inside the checkpoint building rubbing elbows with arrived mushers, excited ans and working officials. Or we stay outside to see valiant teams arrive or refreshed teams depart. 6. February 2017 Meet at the hotel lobby. We are checking out! Today we reach Pelly Crossing, where the teams now have 2 full days and nights under their belt and are fully into their racing rhythm. We greet arriving mushers, talk to resting musher, and see others off to their next leg in the race. Experience how musher stake care of their canine companions. We now understand and interpret the leader board with more experience and understanding, maybe even bet on who will be first in Dawson City, yet. Our special treat for today is the arrival at the Moos Creek Lodge, a rustic theme accommodation with the flair of trapper live and pioneers. Maya, our host, will have a customized dinner waiting for us. But first we move into our respective wilderness cabins. Build with logs of the area by a local trapper and hunter they invite us with their historic and authentic spirit. 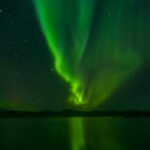 Equipped with outhouses we will have plenty of opportunities to see the most dramatic arctic phenomena: The Aurora Borealis. 7. February 2017 After a 2 hour drive from the lodge we arrive in Dawson City. The first teams are expected tonight for sure, completing the first half of their tough and challenging race. Dawson City is a mandatory 36 hour layover stop, which gives us plenty of time to learn about everything that makes this race special. With a distance of roughly 500 miles to the finish line, Dawson City is the half point of this legendary race. 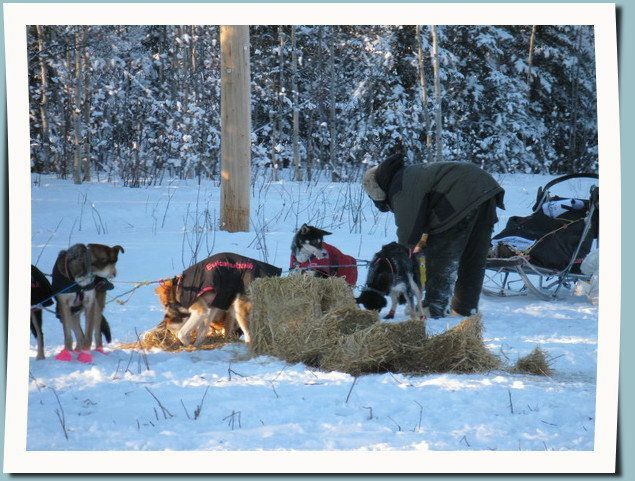 By now the mushers and their teams are well into their race. Potentially first dog drops might have been made. Dogs can only be taken out of the race at specific check points and no new dogs can be accepted into the team. We can spent as much time at the check in line in downtown or across the river at the check point proper where mushers rest and take care of their teams. This is where we submerge ourselves into the intricacies of a 1000 Mile sled dog race a cross the frozen North. In the afternoon we get to know historic Dawson City, once Yukon’s capital. During the heydays of the famous Klondike Gold Rush over 40.000 people lived here. Today’s population of 1.300 men and women has created a lively, tightly knit little community. Slanting houses and renovated buildings alike line the unpaved streets behind wooden boardwalks and false fronts just like it was a 100 years ago. Our hotel features a rustic theme lounge with the possibility to become a member of the so famous “Sourtoe Club“. Only if you do NOT swallow the human toe (mixed in a cocktail of any kind) you will become a certified Sourtoe Member!!! Our second night in Dawson City. 8./9. February 2017 Two full days time in the “City of Gold”! We walk the snow covered streets to the historic Visitor Centre at the banks of the mighty, frozen Yukon River updating ourselves on teams, dogs, race times and current standings. We greet arriving teams on Front Street into their 36 hour layover resting time, as well as cheering on athletes that are already leaving into their race towards Alaska. A potentially first ice road drive brings us across the frozen river to where the mushers have bedded down their faithful friends, the huskies. Vets are checking up on them, handlers are looking after them and we can see and learn and ask all we want. We chat with co-visitors, mushers, vets, officials and the locals. Halfway point in the race. Whoever crosses this finish line first (and ends the race) wins a lump of gold. There are the option to get to see the area around Dawson City, such as the Midnight Dome, the famous gold fields or the place of Dredge No. 4. (Pending road conditions) On our guided City Tour Walk we are stomping through an open air historic museum from the gold rush area, snow under our feet, cold steam from our breath and the electric blue winter sky high above us. 10. February 2017 Meet at the hotel lobby we are checking out! Sorry! On our way back we let an amazing winter scenery pass by, showing off the heart of the Yukon with its white glittering landscape, from frozen lakes to snow covered forests. A day of+500km through northern wilderness captured in its icy wintry grip. 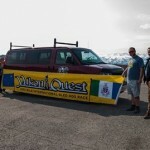 Expected time of arrival in good old Whitehorse is 6:00pm Expected arrival in Whitehorse, the buzzing little town where it all started some exciting days ago. let’s have a fine dinner together and peruse the last days of “mushing”. 11. February 2017 And now it is your turn. Drive your own team of huskies across the northern landscape of ice and snow. Learn how to harness your dogs and what it means to stand on a sled behind these amazing friends and feel their power and determination to run. We will spend a half day way up in the mountains and Yukon wilderness. Our knowledgeable guides will help us with learning about mushing, what a northern winter is like, why bear hibernate and any questions we have. We return back to our hotel in the afternoon, maybe stiff and hungry, but happy and full of wonderful memories. 12. February 2017 It is this day again. We have to say “Good-buy!” All departures at Whitehorse International Airport are serviced with a hotel transfer to your individual flights. But there is one good thing: You can always come back to another race next year or any adventure in the Yukon you chose. Or you can stay and proceeding to another Northern Winter Adventure. Ask about options of more dog mushing, ice fishing, snowmobiling or snowshoeing. 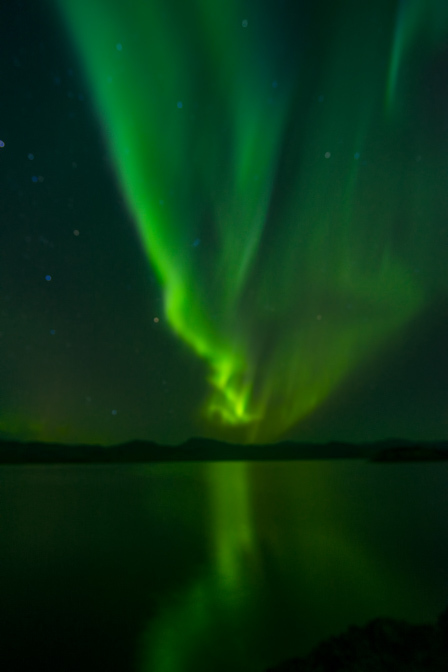 And more nights hunting the mysterious Northern Lights. Many thanks for choosing Black Bear Wilderness Adventures. We hope we showed you one special, unforgettable side of our beloved country we chose freely to live in. 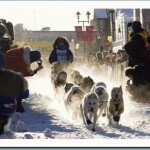 A Norther Winter Experience that showcases a most Epic Athletic Event the amazing symbiosis of men & dogs in the North. Let us drive your adventure! Let us know what your preferred room situation should be. Click the box so we know you are a real person. Thank You! Many thanks for booking a tour with us! Let us where you come from. Please let us know if you have any of the above conditions, we will try and accommodate these.